Given its vast capability and compact size, the UNIVERSAL 320 provides flexible solutions for dynamic workflows. The UNIVERSAL 320 occupies minimal bench space at a width of only 395 mm (15.5 inches), with or without temperature control and is capable of spinning a variety of standard tubes, plates, cytology clips and bottles (up to 200 ml), offering true all-in-one capability. Excellent performance and a comprehensive range of accessories enable the UNIVERSAL 320 | R to carry out virtually any centrifuging task. Quiet as a normal conversation. Will not increase noise levels or contribute to distractions. Self-closing, auto-locking lid with steel latches. All-metal chamber provides reinforced security. 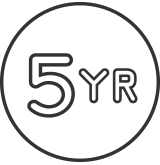 All Hettich centrifuges are protected by our 5-year warranty and full technical support. 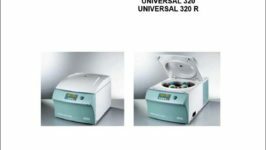 The UNIVERSAL 320 performs multiple applications including cytology, in the same centrifuge, saving you money and bench space. 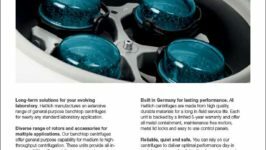 Hettich’s 12-place Clip Rotor is capable of spinning 0.2 to 6 ml single, double or large funnel formats with optional bio-containment, eliminating the need to purchase an expensive dedicated cytocentrifuge. Hettich’s VERSA-LOCK buckets feature an integrated handle to provide you with a convenient method for transporting and loading your samples while doubling as locking mechanism for your bio-containment lids. Spin up to 28 blood tubes with a UNIVERSAL 320 Blood Tube Package with or without bio-containment lids. Spin up to 10 microtiter plates at a max. RPM of 4,000 and max. RCF of 2,218. Shown below are the most common application packages for the UNIVERSAL 320 | R centrifuge. Custom packages are available, please inquire for details. The UNIVERSAL 320 Conical Tube Package comes complete with everything you need to perform your application. This includes the UNIVERSAL 320 or UNIVERSAL 320 R centrifuge, swing-out rotor, buckets, adapters for 5 mL conical tubes and bio-containment lids. Many a-la-carte options are also available, contact us for more details. The UNIVERSAL 320 Blood Package comes complete with everything you need to perform your application. This includes the UNIVERSAL 320 or UNIVERSAL 320 R centrifuge, swing-out rotor, buckets and adapters for for 13 x 75/100 and 16 x 75/100 mm tubes. Many a-la-carte options are also available, contact us for more details. The UNIVERSAL 320 Blood Tube Package 4 BC comes complete with everything you need to perform your application. This includes the UNIVERSAL 320 or UNIVERSAL 320 R centrifuge, swing-out rotor, buckets and adapters for 13 x 75/100 and 16 x 75/100 mm tubes. Many a-la-carte options are also available, contact us for more details. The UNIVERSAL 320 Urinalysis Package comes complete with everything you need to perform your application. This includes the UNIVERSAL 320 or UNIVERSAL 320 R centrifuge, swing-out rotor, buckets, and adapters for KOVA tubes. Many a-la-carte options are also available, contact us for more details. 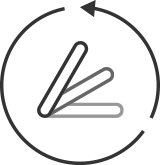 The UNIVERSAL 320 Cell Culture Package 4 comes complete with everything you need to perform your application. This includes the UNIVERSAL 320 or UNIVERSAL 320 R centrifuge, swing-out rotor, buckets and adapters for 15 and 50 mL tubes. Many a-la-carte options are also available, contact us for more details. The UNIVERSAL 320 Cell Culture Package 4 BC comes complete with everything you need to perform your application. 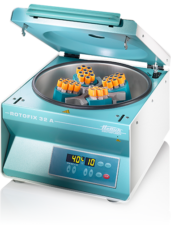 This includes the UNIVERSAL 320 or UNIVERSAL 320 R centrifuge, swing-out rotor, buckets, adapters for 15 and 50 mL tubes and bio-containment lids. Many a-la-carte options are also available, contact us for more details. The UNIVERSAL 320 Cell Culture Package 8 comes complete with everything you need to perform your application. This includes the UNIVERSAL 320 or UNIVERSAL 320 R centrifuge, swing-out rotor, buckets and adapters for 15 and 50 mL tubes. Many a-la-carte options are also available, contact us for more details. The UNIVERSAL 320 Plate Package comes complete with everything you need to perform your application. 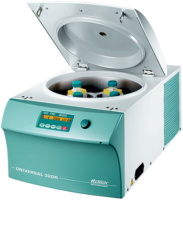 This includes the UNIVERSAL 320 or UNIVERSAL 320 R centrifuge, swing-out rotor and buckets. Many a-la-carte options are also available, contact us for more details. Rugged and simple design for uncomplicated performance. Ideal for all standard tubes up to 100 ml and specialty tubes such as cytology clips/funnels and chrome bath tubes. The ROTINA 380 requires minimal bench space at a width of only 18 in. Capable of spinning up a wide variety of tubes, the ROTINA 380 vastly outperforms its modest size. Find all UNIVERSAL 320 resources in the Resource Library. 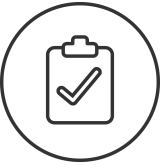 Fill out the form below for product support, questions or comments and we will get back to you as soon as possible.